Have you ever wanted to know what it feels like to communicate with Spirit? Are you curious to know what a spiritual medium actually experiences when they link with Spirit? Would you like to know if anyone can communicate with Spirit? Would you be able to recognize the signs they're sending you? Reveal the intricate mechanics of how he raises his own vibrational energy to link with spirit as they lower theirs. Explain the process of how he authenticates and then validates the link to confirm their identity, and then interprets their message for their loved ones. Show how Spirit communicates with everyone … and how you can learn to connect with Spirit for yourself. When you can recognize when Spirit touches your life - in even the smallest way - you’ll feel confident that you’re never really alone in this world and that you’re supported and loved. For years, Spiritual Teacher John Holland has been teaching people how to enhance their own unique abilities and explore the often un-explained yet fascinating connection to the Spirit world. 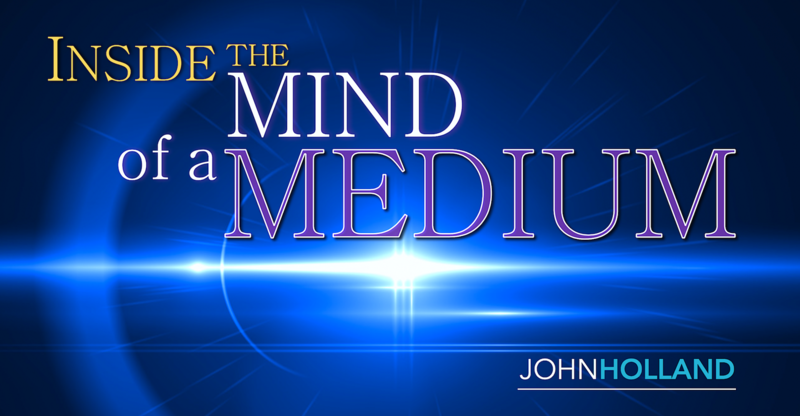 “John Holland is one of the most talented and compassionate psychic mediums I have ever met. John always works with impeccable integrity and skill. ” Dr. Brian Weiss, MD - Author of "Many Lives, Many Masters"
Have a deeper understanding of the medium’s experience (seeing, feeling & hearing) when connecting with Spirit. Recognize the signs and symbols that a medium uses throughout the process of linking with Spirit! Can determine whether you have the basic skills to become a medium. Get a chance to ask questions with one of the worlds’ most renowned mediums via LIVE Q&A chat. The webinar will be recorded for all those who purchase it, which will be posted 24hrs after the event. You will be able to participate through your computer, smartphone, tablet or phone. Please note, that once purchased, there are no refunds. "Spirit is constantly sending your messages of healing and guidance in the form of signs and symbols. Once you learn to recognize those messages, and act on them ... a whole new world will open up for you!"